Akure—FORMER Deputy Governor of Ondo State, Alhaji Lasisi Oluboyo, whose daughter, Khadijat, was allegedly murdered for rituals, claimed, yesterday, that she was hypnotised before she was killed. It was gathered that the deceased was strangled before she was buried in the grave dug inside a room. Speaking to newsmen at his Alagbaka Extension, Akure, home, Alhaji Oluboyo, claimed that the suspect equally faked his daughter’s kidnap to buy time. 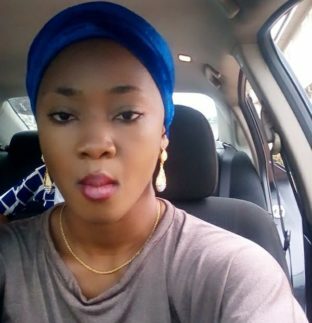 The deceased, a final year student of Computer Science, was allegedly killed for ritual purposes by her fiance and buried inside his room at Oke Aro in Akure metropolis after she went missing for six days. Her decomposing corpse was discovered and exhumed from under the bed in his room. The former deputy governor said: “The boy killed my daughter for ritual purposes. The lady did not go there on her own volition. The boy just called her on phone and she picked her things and left school without telling anybody. “She came to Akure and went straight to the boy’s house, even without visiting us her parents in the same town. It is not ordinary. On how the suspect faked kidnap, Oluboyo said: “My daughter has four numbers. She had two handsets, one with two SIM cards, the other with one. The old number she was using was kept in her bag. “What happened was that when we tracked the first number, it went off immediately after roadblock at Owo. The second number went off after Oba-Akoko. “That gave us the impression that she was travelling and that she was going back to school. We got it on good authority that she came to Akure. That made us believe that she was going back. “When they sent a message that we should wait for a negotiation team, we discovered it was one of the numbers in her bag that they used. It was a perfect arrangement to buy time. “We got to know that Khadijat was missing on Monday, July 2. Somebody called us to say she was missing . We got in touch with her friends in the school. “I sent money for her feeding on Friday; the usual thing is that when she got the bank alert, she would call to thank me. But this time, I did not get any call from her. I told her mother and she started calling her, but the phones were all switched off. “But on Monday, we started calling her numbers again and later the phone rang. They picked it and we were hearing background sounds. Continuing, Khadijat’s father said: “On Monday, her friend called to say she had been calling her numbers. The same person sent a message to her friend that she (Khadijat) was on her way coming. “It was then I got to know that she came to Akure to meet that boy. From what the father told us, there is no doubt that they were once lovers. “They met each other at College of Education, Ondo. When we started looking for the girl, the father called me, saying he is the father of Adeyemi and that my daughter came to their house on Thursday and left on Friday morning. “He said she used to come in the past, but stopped suddenly. He added that she is the type he wants his son to marry. I then said we are not talking of marriage as we are looking for her. On how she was discovered, he said: “The boy dug a grave in his room, buried her, put his mattress on the grave and was sleeping on it. She was not found under the bed; the boy has no bed. “We tried our best; we organised prayers. When we finished with the prayers, he got the heat and said he cannot continue. The state Police Command image maker, Femi Joseph, said investigation was still on and that the Commissioner of Police, Gbenga Adeyanju, will brief newsmen this week.